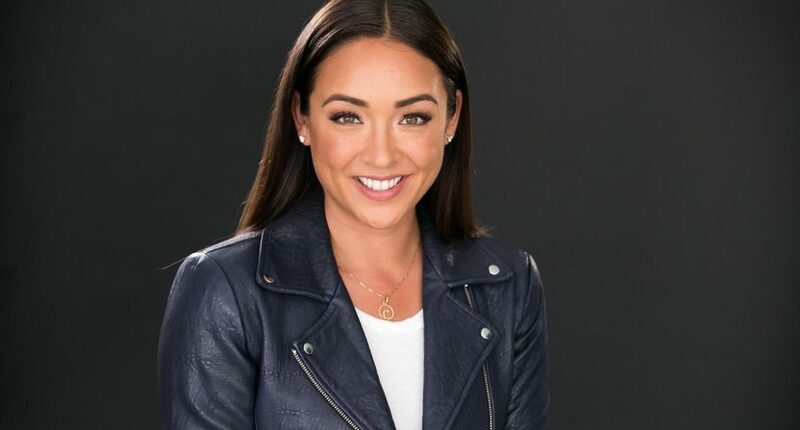 Cassidy Hubbarth has been with ESPN since 2010, when she hosted shows on ESPN3. Now, she’ll be with the Worldwide Leader for a little longer. The New York Post reports that Hubbarth has signed a new contract that will not only keep her as a host on college football and as an NBA sideline reporter, but also gives her the opportunity to host a Twitter show right before ABC’s Saturday night NBA games. The show will be called Hoop Streams and will originate live from the game sites. The Post says Hubbarth was courted by Yahoo/Turner where she would have been featured on the show The Bounce. However, ESPN came through with an offer where Hubbarth would remain at the network where she got her start. Hubbarth also has a solid social media presence with over 121,000 Twitter followers, and because of how heavily the NBA uses Twitter, having Hubbarth host a live show on the social media platform makes sense. Previously, Hubbarth hosted Buckets on Twitter and has been a substitute host on The Jump. She’ll continue to host the NBA All-Star Celebrity Game and the NBA Draft Lottery. The key is that Hubbarth will be busy on both the NBA and college football, and that’s what ESPN will be looking from her for in the next few years.